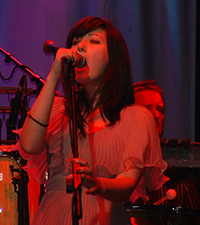 Catherine Turner played backing vocals on tour with The Divine Comedy in 2004. She is featured on the DVD Live At The Palladium. She has since joined The Bookhouse Boys in 2006, who have released a couple of albums (The Bookhouse Boys, 2008; Tales To Be Told, 2011).